Warm a skillet over medium-low heat with coconut oil. Once melted, add in the cashew butter and maple syrup and stir until well combined and thick. 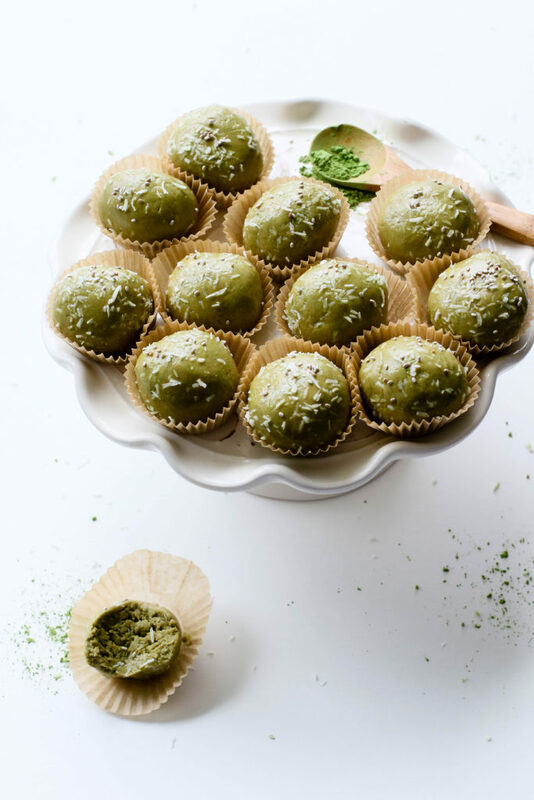 Add mixture to a large mixing bowl and add the protein powder, matcha powder, and coconut flakes. Fold mixture with your hands or a spatula until well combined. Roll into ~1 TBS balls and roll the balls in optional coconut flakes. Serve immediately. Store leftover balls in the fridge for 3-5 days.